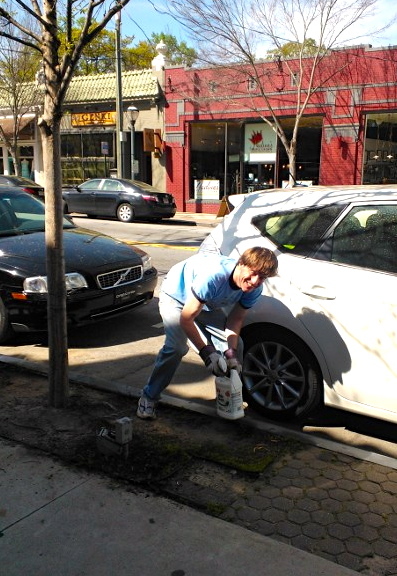 Volunteer Tim Langan does battle with weeds along N. Highland Ave.
Resident volunteers and local business owners joined forces on Saturday April 13 to spruce up several areas around the neighborhood in the most recent event sponsored by the Keep Virginia-Highland Beautiful group. “We had about twenty volunteers and strong support from local businesses like Paris on Ponce, City Storage, Urban Body Studio, Java Jive, J. Christopher, Atkins Park, American Roadhouse, Intown Ace Hardware and Highland Tap,” said event coordinator Kay Stephenson. 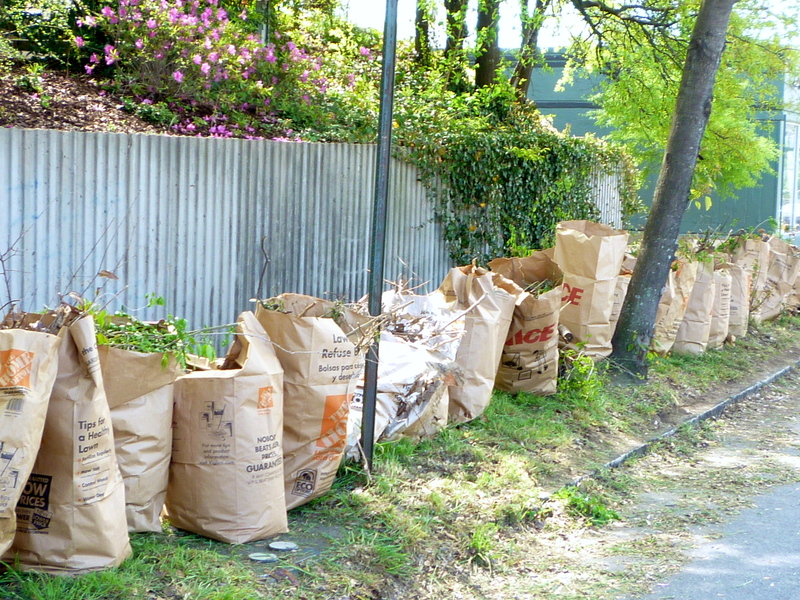 Stephenson said workers focused on picking up trash and pulling weeds at three main areas: Maiden Lane, Orme Park, and N. Highland Avenue from Ponce De Leon Avenue to Los Angeles (and east on Virginia Avenue). 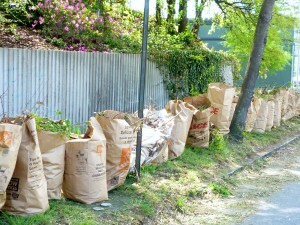 A long line of trash bags filled with weeds and trash is evidence of the clean-up's success along Maiden Ln. After the event, volunteers were treated to lunch and a cold beverage at Highland Tap. 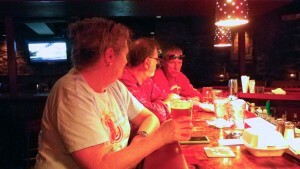 Volunteers enjoy lunch at Highland Tap after the clean-up. This entry was posted in news and tagged 2013, cleanups, keepvirginiahighlandbeautiful by John Becker. Bookmark the permalink.